Colonial Beach off season is still a great place! While the summer fun usually winds down after the big Labor Day weekend in early September, there's still lots more in store to the end of the year and beyond! 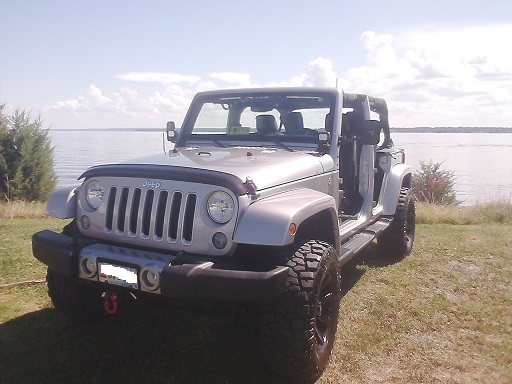 Later in September you'll find events like the Jeep Rivah Jam at Dockside. New for 2018 is the Northern Neck Beach Music Festival featuring The Embers, The Rhondels as well as shag dancing lessons and a contest. Mallet wielders can try their hand at the annual Croquet Tournament. 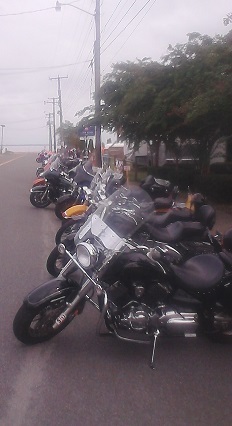 The Columbus Day weekend in October normally brings Bikefest, the nearly week-long celebration for motorcycle enthusiasts from places far and wide. This event began in 2014. In 2018 it takes place a week later than usual. There are also various Oktoberfest parties and a Fall Festival on Town Hill. 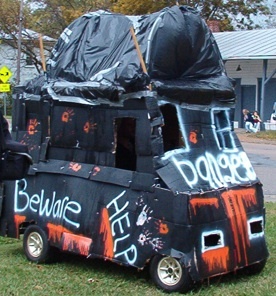 You'll find tons of Halloween events and activities like the annual Golf Cart Parade and special spooky events at Stratford Hall Plantation. Mid-November is the big annual weekend-long Rockfish Tournament. 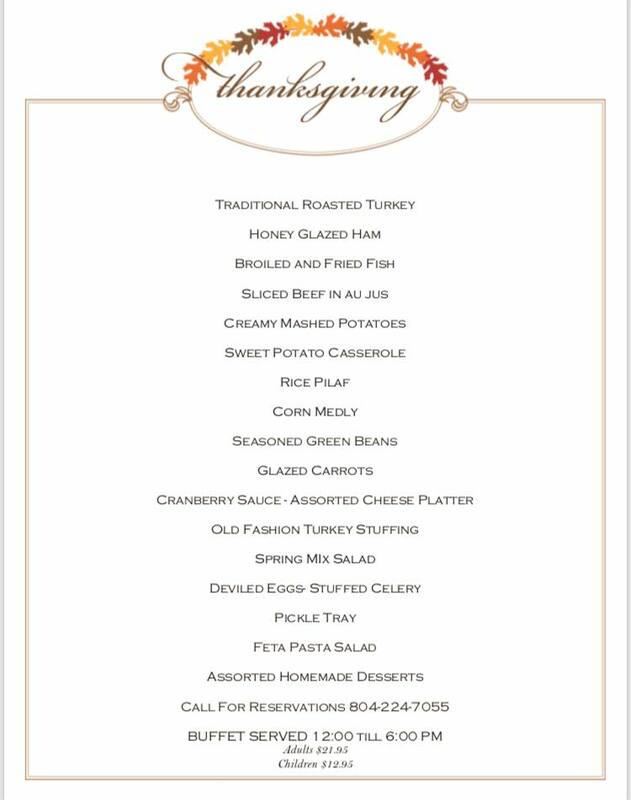 Towards the end of the month, bountiful and delicious Thanksgiving Buffets are served at area restaurants such as The Riverboat, High Tides and Wilkerson's Seafood. Stratford Hall has a wonderful Thanksgiving Dinner with two seatings. It's a sell-out every year, so make your reservations early! December has the popular Santa's Wonderland and Winter Festival, an event which features the Christmas Parade, Lighted Boat Parade the Lighted Jeep Parade and more! The newly-formed Colonial Beach Connexion Choir has their debut performance tentatively scheduled for December 9th. High Tides restaurant usually closes for the season at the end of this month and reopens in early March. New Year's Eve parties and Dinner Buffets at many venues around town. January. This is the month when we usually get some snow, so there's a lot of snowman-building and sledding. Polar Plunge on New Year's Day at Dockside raises funds for Colonial Beach Public Schools. Dockside has hosted this event for 2015 through 2018. Prior to that it took place at The Riverboat. Birthday celebration for General Robert E. Lee at his birthplace, Stratford Hall Plantation on or around the 19th. There is usually free admission, cake and people dressed in period costume. February. 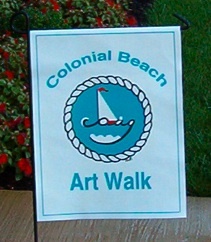 Valentine's Day weekend often falls on or near the 2nd Friday ArtWalk event and Colonial Beach is a perfect getaway spot for you and your sweetheart. "There's nothing to do in Colonial Beach off season." Sunday Breakfast and Brunches at Lenny's, Ola's, Bobby K's, Riverboat, Dockside and more. Events at the Library include computer classes, mobile maker lab, paws for reading, storytime and many more events like Tea Time, Movie Night and Reading Guild meetings. Post by Lisa Gough Courtney.